This entry was posted in Texas spring blooms, Uncategorized by Tina. Bookmark the permalink. Oooh! You probably get to enjoy them for most of the summer? Nice!! Wish I had Aquilegia canadensis again (if that’s it?)! Such a dainty little aquilegia! Yes, Cathy–sort of! I grow the A. chrysantha and the A. canadensis and they hybridize. I’m no botanist, but that cutey is probably a hybrid. The bees don’t care and neither do I! That’s interesting Tina – I did grow A. canadensis a long time ago, and I vaguely remember it quite not as your plant when I looked at the pictures. But thought it my bad memory. A hybrid would be the answer! We never had much luck with columbine here, so we just gave up. This beauty makes me want to try again. I’m sorry they haven’t worked for you, Tracy. That’s frustrating. Shade, decent soil? Try again–you never know! 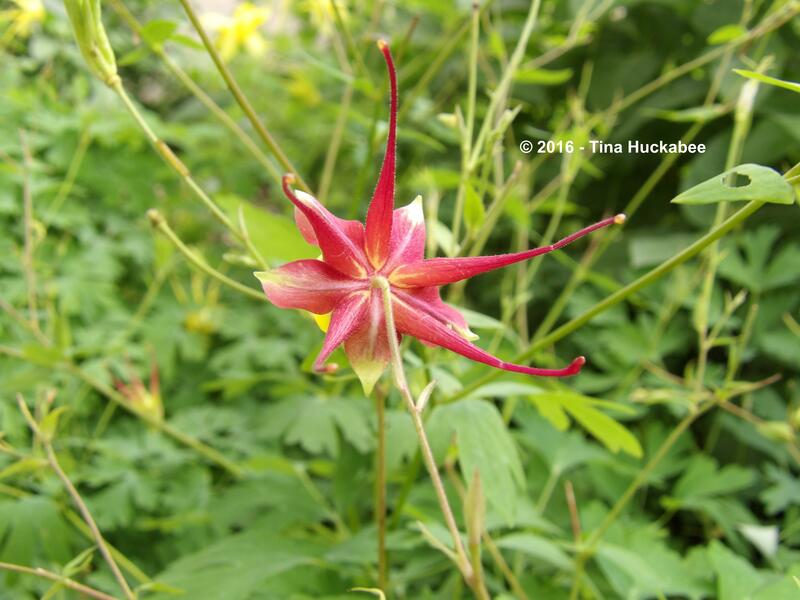 I love Columbine blossoms but never have luck with them here. To me they look like a bit like fireworks bursting into the night sky. PS – Hope that backwards and sideways “Life” stuff, whatever it is, isn’t too tricky! I’m sorry that you don’t have luck with them. I will say that mine in the front garden typically bloom better than the ones in the back. Weird. That’s gardening, though. Knew this would strike a chord…. 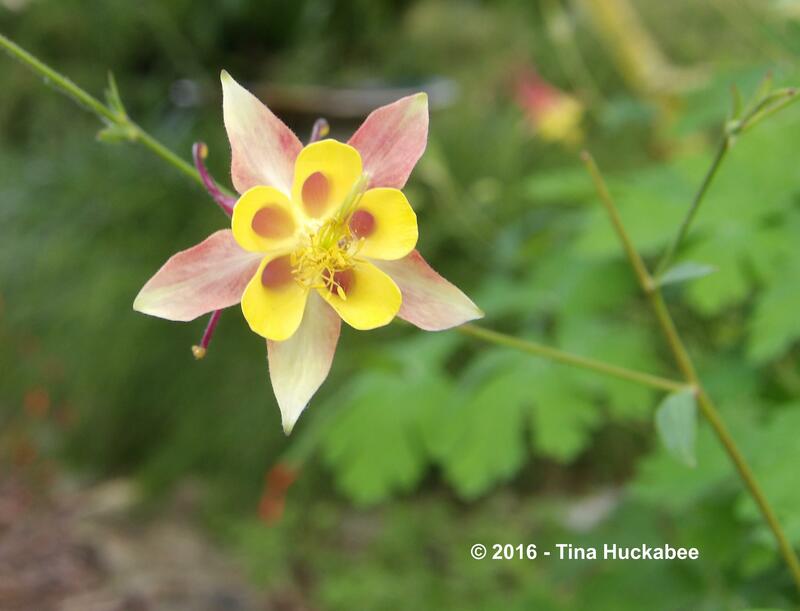 Tina columbines are my downfall, I love and I have in my garden. But not as wonderful as yours. Columbines preciousness that is, that are beautiful and delicate. It has a garden with flowers dream. Greetings from Margarita. 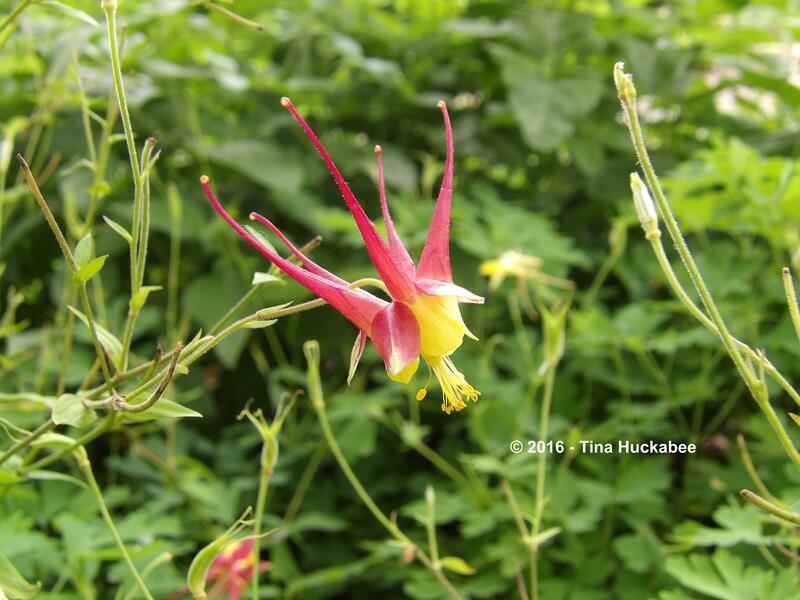 I agree, Margarita–Columbines are special flowers–beautiful and interesting. Lovely. My mum always had them in the garden, hope she grows them this year too. Oh, I hope so too!! They really are cute, aren’t they? Nice that yours are blooming–enjoy!